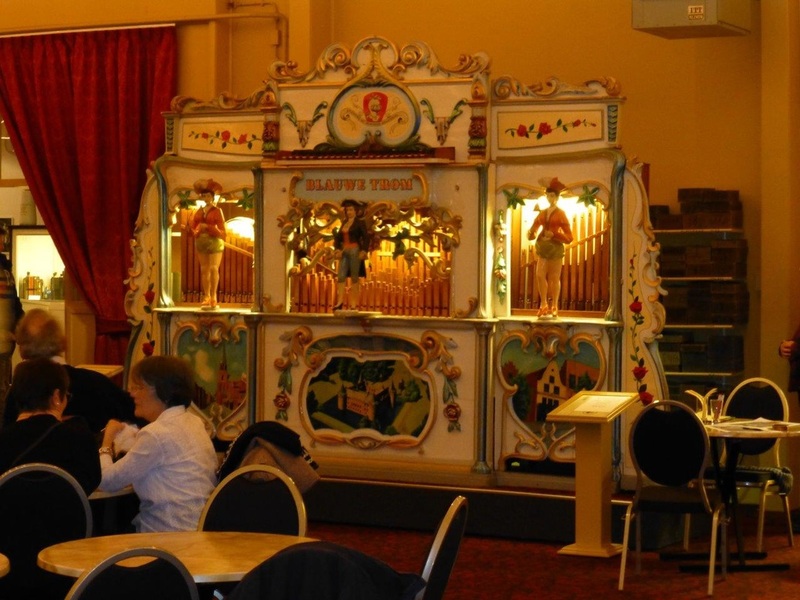 We enjoyed dinner with musical accompaniment at L’Odeon in the city of Lille. This newly established restaurant featured a variety of mechanical instruments. Then we had a late night visit to the famous Café Beveren with its Decap organ. 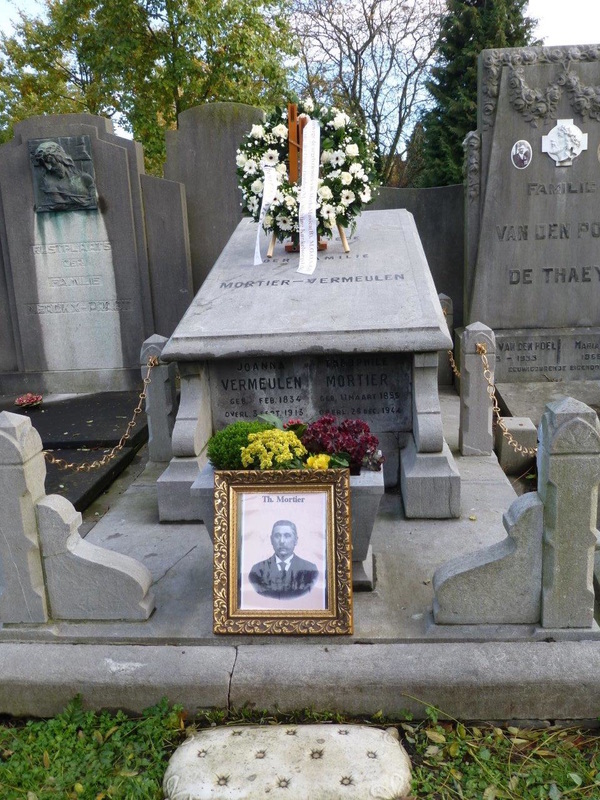 Our sister society MeMU from Belgium, embarked on a project to renovate the grave of Theophil Mortier. MOOS members were invited to a re-dedication ceremony at the grave at which the Mortier Organ 'De Klok' played fitting music. 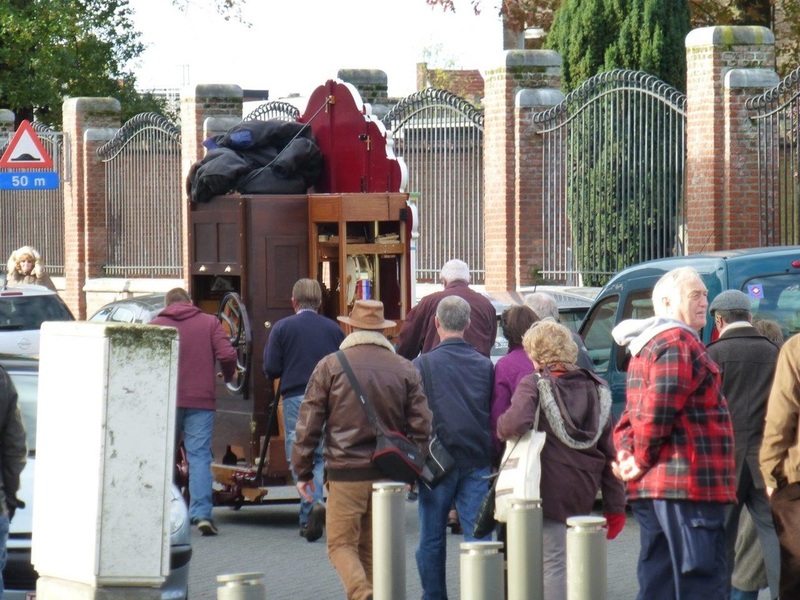 After which, the organ was wheeled to a nearby cafe, and a celebration of the builder held, with MOOS members getting the chance to turn a book through the organ while enjoying coffee. Our celebration of the life of Mortier then continued with a visit to the Klessens dance tent, where the resident dance organ will be in play. Next is another new location! 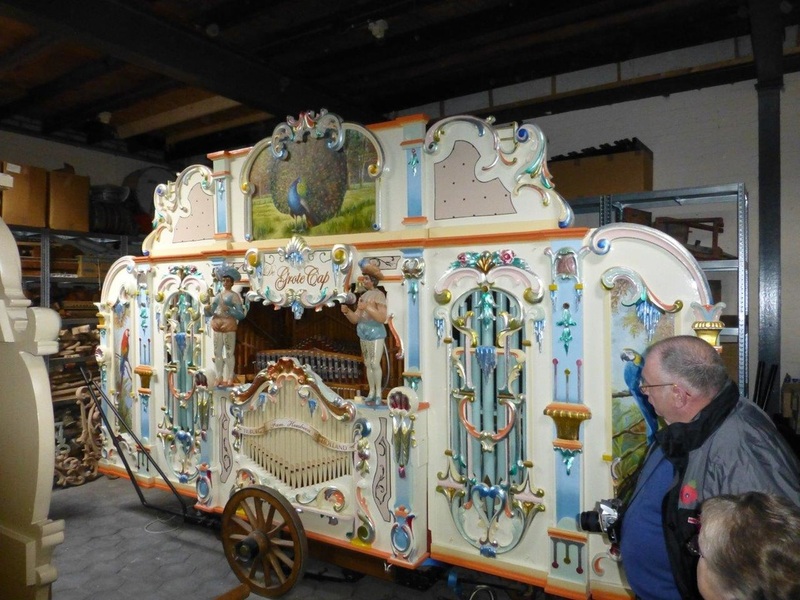 Toon Heesbeen had established the new NBC organ building workshop in Tilburg. 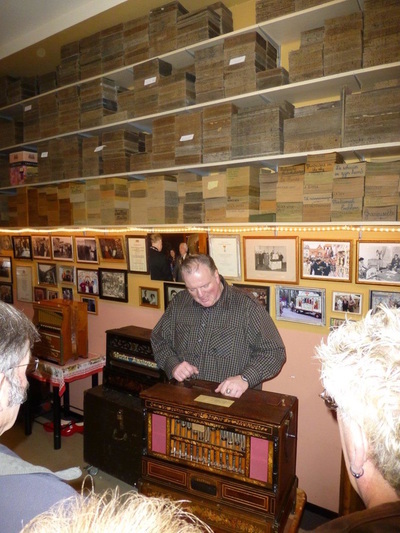 We saw his latest projects and played instruments in his workshop. 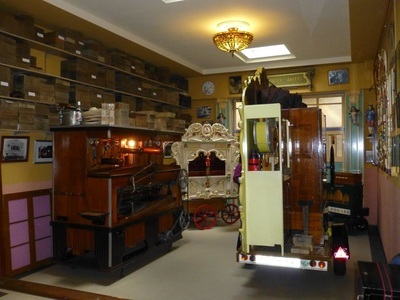 We also visited the organ building workshop of his father, Theo Heesbeen. After a break for dinner, we will continued to the famous Kunkelsstichting in Haarlem. 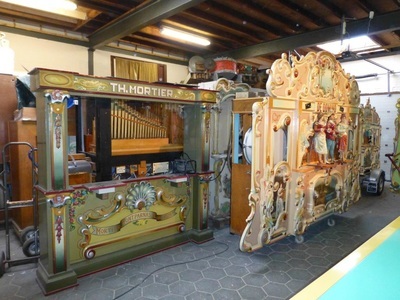 Taking its name from the imposing Kunkelsorgel Marenghi that stands at one end of the hall, this is an outstanding collection of street and dance organs, including the street organs “De Jupiter” and “De Grote Blauwe”. We enjoyed a full evening of music from all the organs at this renowned collection. We started the day with a scenic journey into the heart of one of the best preserved districts of Amsterdam to visit the Perlee Draaiorgelmuseum, located in the Perlee organ workshop at 119 Westerstraat. The workshop was the home to such famous instruments as “De Arabier” and is still very much an active business. Leon van Leeuwen will welcome us and provide us with a complete tour of the premises and demonstration of the organs. 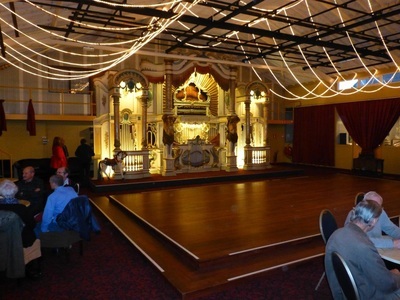 From an old and established organ building business, we then go to a brand new one. 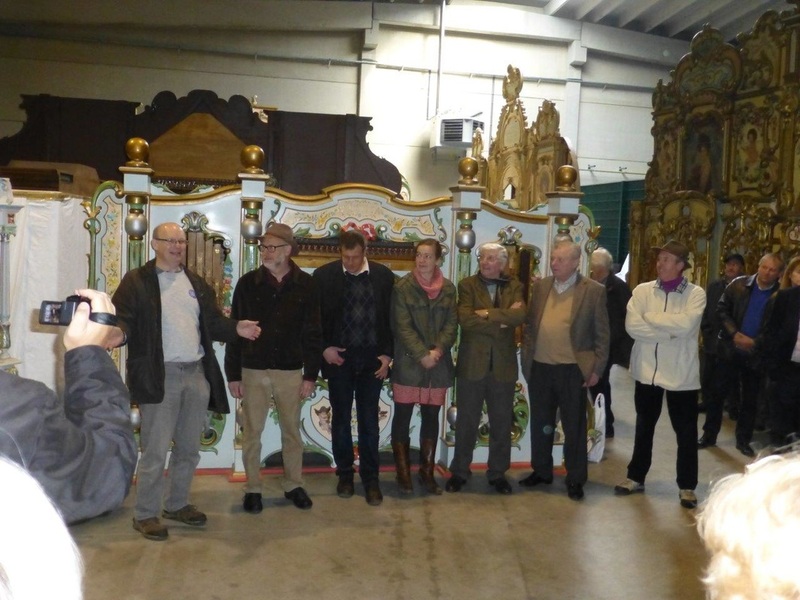 Martin Conrads very kindly allowed us our first ever visit to his organ building workshop in Kerkdriel. 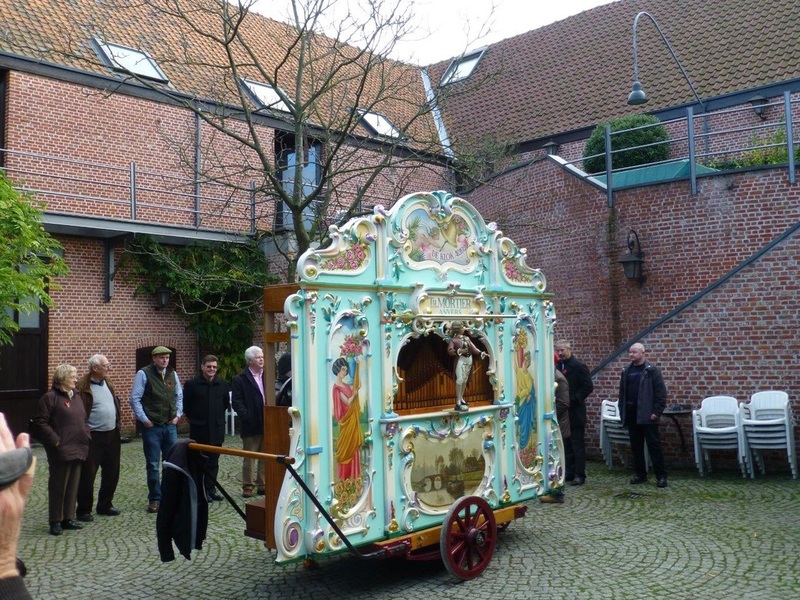 Martin has recently celebrated 40 years of involvement with organs and has been made a member of the Order of Orange Nassau, in honour of his many years of presenting organs on the streets of nearby Zaltbommel. The afternoon saw us travel to the Gaviolizaal in Helmond. This magnificent collection of dance organs, including instruments by Mortier and Gaudin, that were formerly owned by the Bocken family is owned today by the city of Helmond. 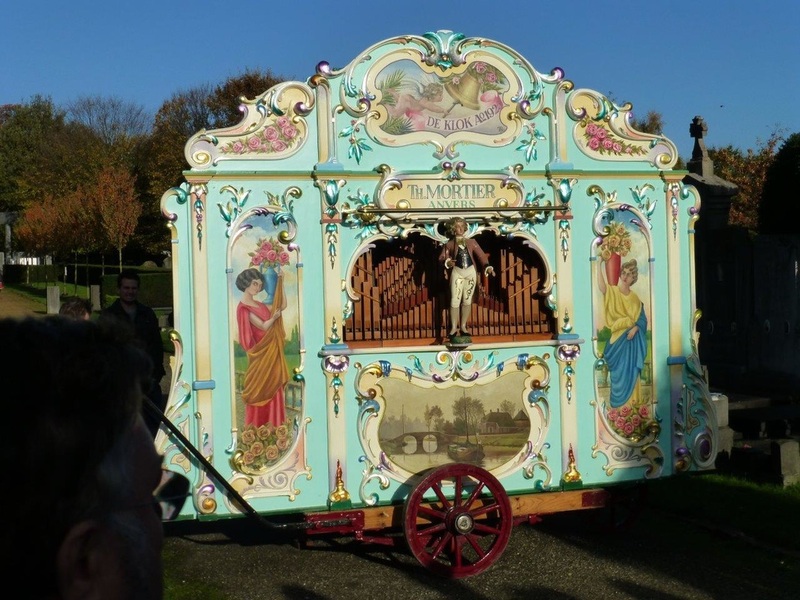 The city of Antwerp was the heart of the Belgian organ building industry. We visited the Gebr Decap organ works in Essenstraat which is the last great remaining organ building workshop in the city. Roger Mostmans lead our tour around these extensive premises and play the organs including the 92 key instruments “Jan de Koffie” and “De Retro” and the magnificent 121 key organ “De Metro”.